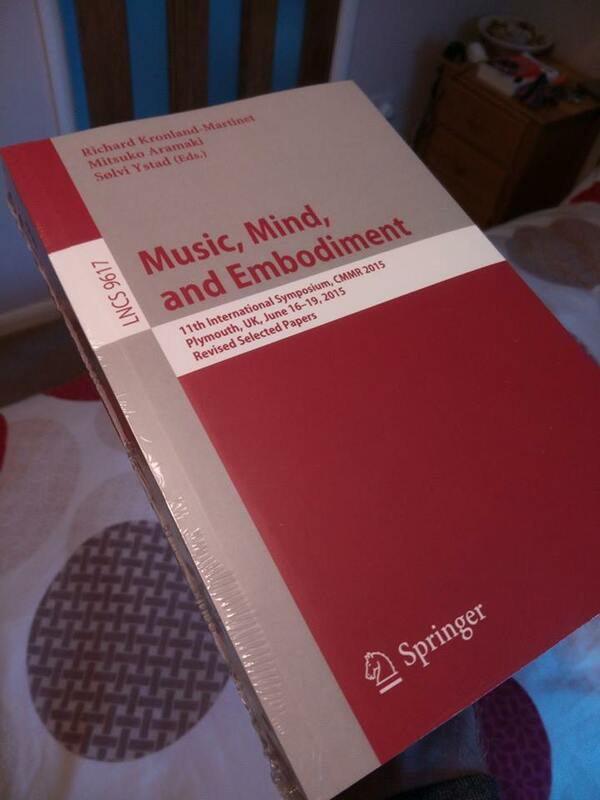 I recently received a copy of the book Music, Mind and Embodiment, fresh off the press. I contributed a chapter that reports on the brain-computer music interface system I developed for my audiovisual performance piece, A Stark Mind. The system uses three simultaneous methods of BCI control; motor imagery, steady-state visual evoked potentials, and affective measures. All three are used to control different aspects of an abstract graphic musical score, in real-time. Sometime in the coming months sees the publication of another book I’ve contributed to. Edited by the eminent Professor Simon Emmerson, the book looks at neurotechnology in music and recent advances in the field.